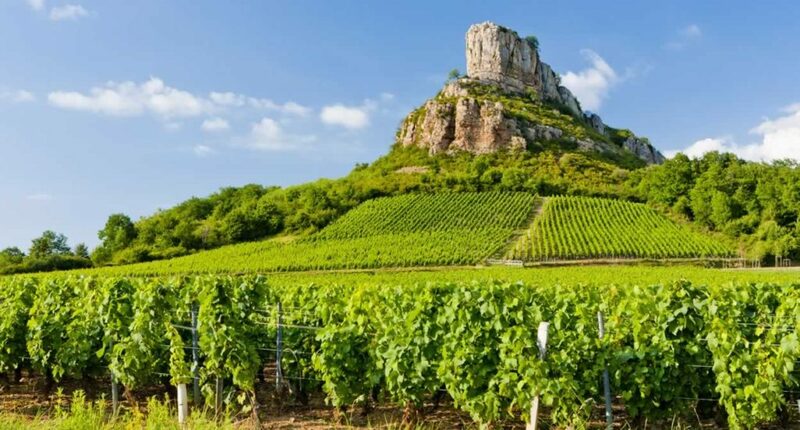 The Burgundy region of France has long been home to some of the best quality wine, specifically chardonnay – the world’s most popular white wine grape. The soil and climate of the area create optimal growing conditions for chardonnay, and a century’s long wine-making tradition makes the excellence of Burgundy white virtually impossible to replicate anywhere else. The wines range from unoaked with crisp apple notes, to those with a more citrus-forward profile, to oaked wines offering fruity melon on the palate with creamy vanilla undertones. Whatever your preference may be, it’s hard to find a white wine from this region that won’t immediately impress. For a smooth and silky oaked chardonnay boasting a lovely medium body, try the Bourgogne Chardonnay by David Butterfield, vintage 2012. This bottle offers prominent notes of fresh apples, pears and white flower petals with a delicate touch of oak. On the palate, it is vivacious with a full structure, but its fruity qualities are balanced and sophisticated. Drinkers will appreciate the gentle finish accompanied by just a hint of mineral. Pair this selection with various foods such as crostini, rich fish like halibut, soft cheeses or rotisserie chicken. For those that prefer a burst of acidity to their chardonnay selection, go with the Bourgogne Blanc Femelottes by Domaine Chavy-Chouet, vintage 2015. This wine is described by reviewers as being seductive, charming and focused; acidity is its main quality offering zesty flavours followed by good balance. This is one of the most refreshing selections hailing from Burgundy, and bottles like this one can be found for an affordable price through retailers like Wine Online. Their wine sommeliers travel across the globe to find the best each region has to offer, collecting selections from even the most remote wineries. When you buy your favourite wine online you can have this bottle — and many other winning vintages — delivered to your door in as little as 1-4 business days. If you’re looking for outstanding chardonnay to compliment a special occasion, the Vire-Clesse Les Vercherres Vieilles Vignes by Rijckaert is a must buy. This 2014 vintage comes in at an esteemed 90 points, characterized by wood influences and ripe citrus aromas intermingled with fresh peach and pear. The flavours are textured, concentrated and expressive with a prominent and persistent finish. Like most Burgundy chardonnay, the presence of oak signifies the highest quality and complexity; savour it with or without food and sip it well into the night. Lovers of white wine simply can’t go wrong with Burgundy whites grown and made by the hands of professionals. Connoisseurs will appreciate the robust flavours, aromatic scents, and soft finishes offered by these golden-yellow selections. Furthermore, by purchasing online, they can read up on each bottle ensuring it’ll promise the quality they’re looking for and be choosier about what they add to their wine cellar or offer at the dinner table. Next time you’re shopping for an exquisite chardonnay, see what online retailers have in stock, and see how they can guide you towards what could become your new favourite.